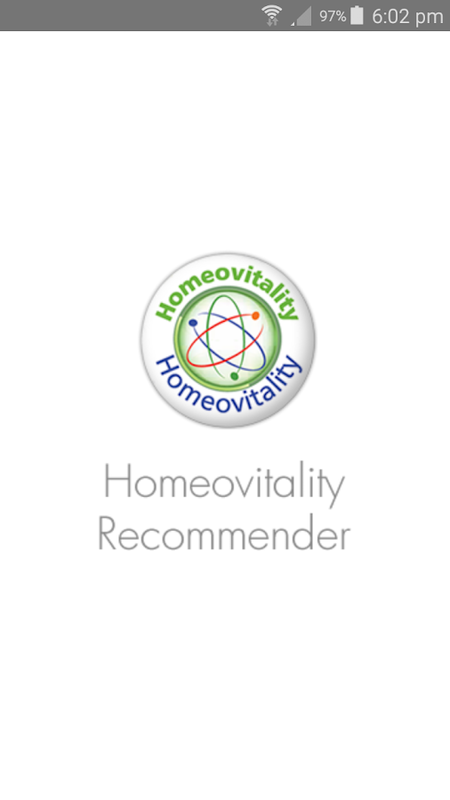 Homeovitality is an entirely new concept in health promotion. Ithas been developed as a safe and natural way to help everyone toachieve nature's "super-health" and stay healthy. It is basedentirely on the proven principles of Dr. Bernard Marichal's genetargeting technology. 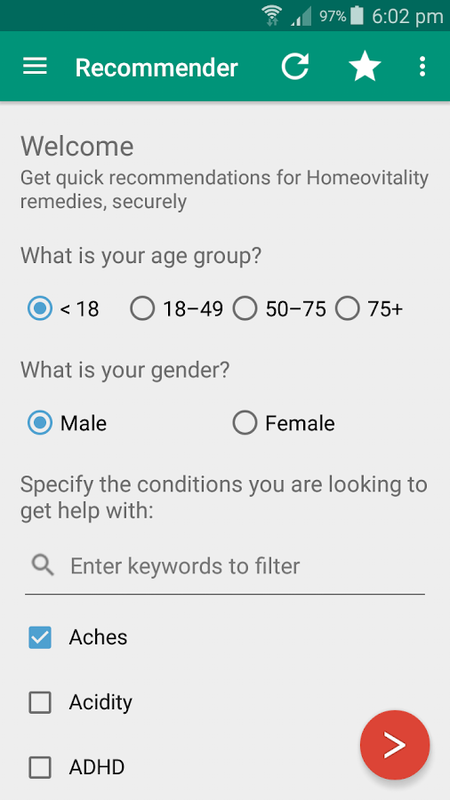 Homeovitality remedies are drug-free,side-effect free and supported by science.With the HomeovitalityRecommender, you can easily find Homeovitality remedies by simplyselecting your age, gender and then specifying which conditionsyou're looking to get help with. We'll then present you with somerecommendations suited to your needs, securely and quickly. 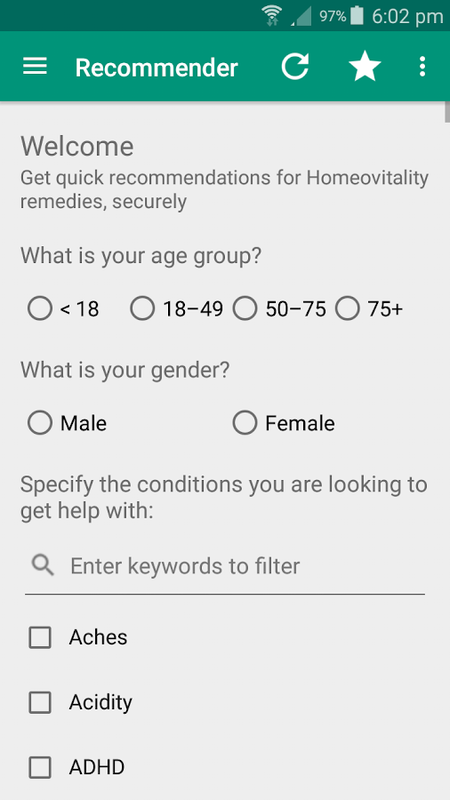 You canview remedy details within the app.What's more is that you can saverecommendations for later and quickly access them again, at a timeconvenient to you in order to buy our products.We strongly believein privacy and as such your data never leaves your device. Allrecommendations are worked out locally on your phone or tablet. Inaddition to this, use of this application (and our website)signifies your agreement to our terms & conditions, our privacypolicy and dislcaimer, all of which can be found on our website:www.homeovitality.comPermission details:Internet: used to downloadimages used within the app and to keep the app up to dateNetworkstate: used for geolocation in order to display different contentin different regions. We do not store any data of any kind anywhereon our servers whilst you use this app. LOOKit is a personalized recommendation system which lists thebusinesses by unique recommendation algorithm.The applicationconnects you with the businesses tailored especially for you inquick and efficient way with presenting information for eachbusiness and provide various advanced communication options inindividual screens for each business.Using LOOKit you will neverhave to read reviews anymore, you will get the most recommendedbusiness at top of results with an explanation why did we choose tosuggest that business with one short sentence.The system offersfour types of Recommendations:1. Recommendations based on yourbehavior , For example:· You visited "Business name" 3 time lastweek.2. Recommendations based on all LOOKit users, For example:· 80users called "Business Name" last day.3. Recommendations based onthe friends of a user, For example:· 50 of your friends recommendedon "Business name".4. External recommendations, For example:·"Business Name" has 500 recommendations on Google.In addition, youcan ask your friends for recommendations on specific businesses andsend direct recommendation them. 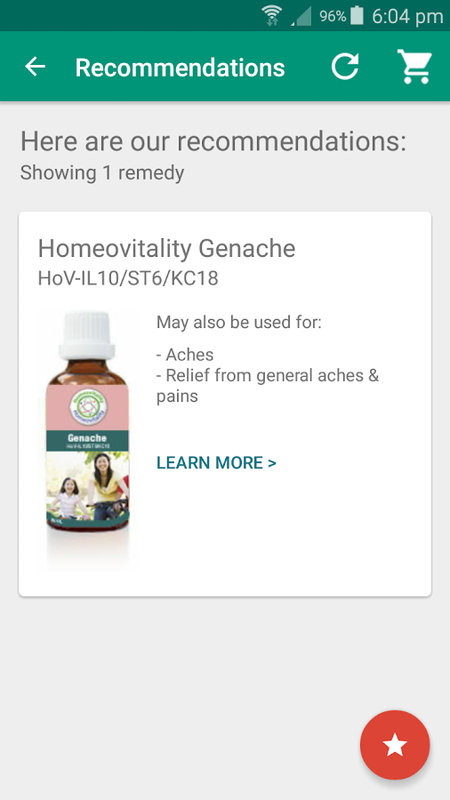 With this app, taking medicine will be much easier! Don't everforget your medicines again, download this app and let it remembersyou! You may set a variety of different times for different days!The medicine may be continuous or not. You can set the sound fornotification too! Simple and functional! Download it now! Languagessupported: English, portuguese, spanish, deutch, french and italianAny doubts, feel free to email me anytime! Features that will you can not step it behind. You can search allmedicine just by name or generic nameSearch all company relatedmedicine. Set reminder for your medicine along with schedule. Allreminder of medicine will awake your exact time of taking medicine.In medical science you can learn any information from here. Open Our app then type your medicine name in search bar then selectyour language. Please install this medicine and tablets information in hindi app.provide all medicine name list.First open this app then type yourmedicine name in search barthen select your language. Do you snore? With SnoreClock you can easily check if you snore.Put your smart phone beside your bed and press the red button inSnoreClock. The next morning you will know more! SnoreClock recordsall noise during sleep and shows red bars where you most likely tosnore. Because SnoreClock takes a record of the whole night youcould get even more out of it. Check - if you snore - if yourpartner snores - if you talk in the sleep - if something disturbsyour sleep and much more. To check all noises turn your phone toswitch to landscape mode. Pinch to zoom and drag to move!SnoreClock was app of the month in the german edition of the MITTechnology Review magazine! Features: 1.) Records all the noisewhile you are sleeping 2.) Outstanding snore detection technology3.) Shows red bars where you most likely snore 4.) Check theeffectiveness of snoring remedies 5.) Measure the volume of theentire recording and shows it on the chart 6.) Recording time up to11 hours 7.) Share audio files 8.) Use gestures in the graph tozoom or to move 9.) Runs in background mode To check all the noisesrotate your phone to landscape mode. Pinch to zoom and drag tomove! Features of Plus Version: 1.) No ads 2.) Record to SD Card3.) Play sound or vibrate when snoring is detected How to useSnoreClock - Quick Start 1.) Put the smartphone near the bed 2. )Plug in the phone if you need a charged battery in the morning 3. )Press the red button to start recording 4.) The next morning pressthe red button to stop recording. 5.) Use the landscape mode toanalyze the data. You can listen to any position in the record.Pinch to zoom and drag to move. If you need help please select thehelp menu in SnoreClock. 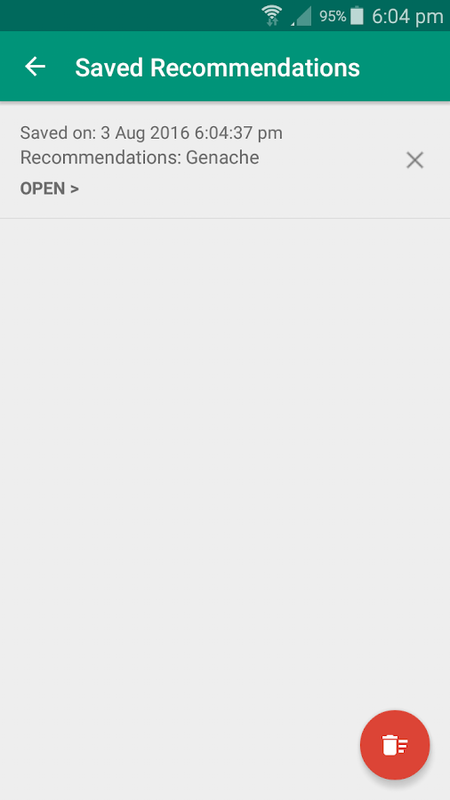 There you can access the docs or contactthe support. SnoreClock is not a medical device.